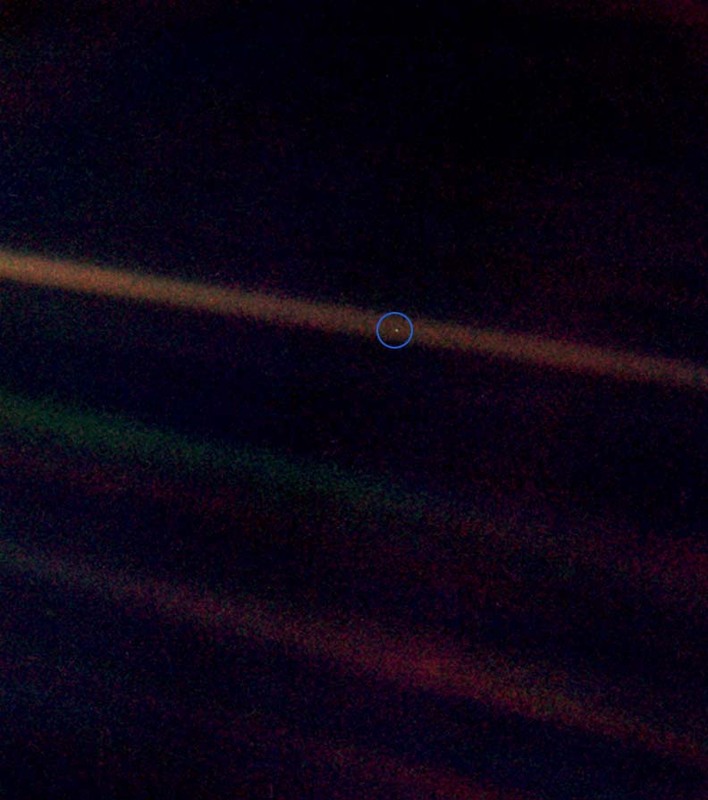 This photograph, from the Voyager 1 space probe, inspired astronomer Carl Sagan's book, Pale Blue Dot: A Vision of the Human Future in Space. but read this brief excerpt, and prepare to see it in a whole new light. 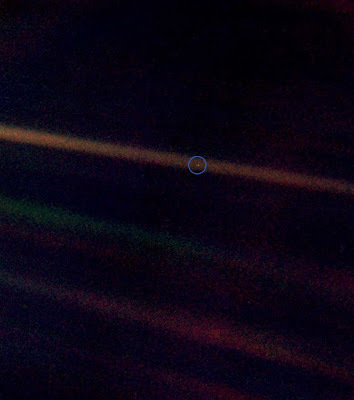 When I'm about to tweak out over tidying clutter or when emotions get to swirling, I try to conjure the pale blue dot image to mind. Suddenly, my problems seem a whole lot smaller in the big scheme of things. Want some even wackier perspective? Check out this video and prepare to sit in stunned silence. Because what can you even say? The worlds are wide, my friends. What a ride being in the mix. Enjoy your place in the universe today!